King Loses Father to Cancer then Fights-and Swims, Bikes and Runs-to Help Find a Cure! In 1989, when he was just 23 years old, Michael King got a call everyone dreads. His mother, living in Connecticut, called Michael in San Diego. "Your father has cancer. It's leukemia." Not knowing very much about the disease and without the help of the internet, Michael didn't know how serious it was until a co-worker asked him what stage of the disease his father was in. "Then I knew it was serious," Michael says "and it wasn't something that could just be fixed with medicine." For the next few months Michael and his family were by his father's side as he fought the disease. His dad was eventually treated in Seattle where he received a bone marrow transplant. "We had great hope. My dad had two perfect matches and we were confident he would be ok," Michael says. But he wasn't. Within nine months of being diagnosed, Michael lost his dad to leukemia. Eleven years later Michael got another call that would change his life. His younger brother—married with two young children—called to tell Michael that his wife, Sue, had been diagnosed with leukemia. Not just leukemia but the exact kind of leukemia his dad died of—Chronic Myelogenous Leukemia. "I was stunned and shocked. I was so angry because this was happening again," Michael said. But this time it was different and it was something that could be fixed with medicine. Sue didn't have a perfect match for a bone marrow transplant but, luckily, only a few months earlier a drug was approved, Gleevec, to help CML patients. "Since then Sue has taken Gleevec -- a pill--everyday. She is doing great. At a recent family reunion I couldn't help but watch how full of energy she was. This pill has made a huge difference in our lives and saved Sue's life!" Michael soon learned that Gleevec was developed with funding from The Leukemia & Lymphoma Society—through money raised, in large part, from participants in Team In Training. Team In Training® (TNT) is a program that trains people to complete marathons, triathlons and cycle events. In exchange for raising money for The Leukemia & Lymphoma Society, participants are provided coaching and the guidance needed to complete in the event of their choice. For Michael, it was a way to give back. "I had heard about TNT and I knew it was something I needed to be a part of. One day down the road Sue may need a new drug to help her with her leukemia and I don't want anyone to lose a dad, like I did," Michael says. 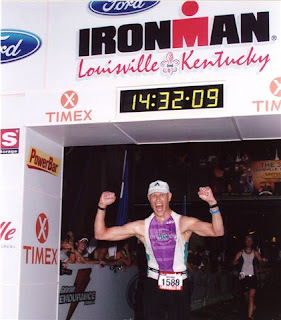 Michael has now completed five triathlons with Team In Training and, along with his wife, has raised $23,000 for The Leukemia & Lymphoma Society. He was so inspired by the program he is now a triathlon coach; showing others how they can also make a difference. "Once I became part of Team In Training, my life changed forever. My wife and I (who has also completed triathlons through TNT) have made friends that are like family to us. The fact that I can also DO something, rather than just donating to a cause, has been great. The feeling of crossing that finish line is something that can't be described—it's amazing," Michael says. And, as he completes the triathlons, his dad and sister-in-law are in his thoughts during every stroke of his swim, pedal of the bike, and step of the run. And when he crosses that finish line, he is humbled for the difference he is making for those battling cancer. When Noreen Zuñiga’s son Daniel was diagnosed with acute lymphoblastic leukemia (ALL) in October of 2003, Team In Training (TNT) had been around for many years. Thousands of folks had volunteered their time to train for endurance events and raise money for The Leukemia & Lymphoma Society (LLS). In fact, at that time, TNT had raised millions of dollars for LLS. As noble as this is, it is doubtful that Noreen was overly concerned with this. The Zuñiga’s were participating in an endurance event of their own—without the benefit of any advanced training. They were fighting, as a family, to save Daniel’s life. Daniel was a 16-year old football player. The Friday before his diagnosis he played in a football game for Chamblee High School. He had some headaches that were slowing him down on the field so Noreen took him to visit the pediatrician. In one visit, everything changed. All efforts were deployed to get Daniel healthy. Noreen took a leave of absence from her job and the Zuñiga’s went from a two-income family to a one-income family for several months. There were hospital visits, insurance forms to fill out, co-pays to meet, and duties and expenses that hadn’t existed the month before. Noreen describes it as overwhelming. Enter The Leukemia & Lymphoma Society. Terry Sexton, an LLS staffer, walked alongside the Zuñiga family throughout the course of Daniel’s treatment. She offered moral support and practical advice to help Noreen and her family navigate this strange new world. When you talk to Noreen today, she expresses overwhelming gratitude for Terry, LLS, and the TNT family. She reminisces about Daniel being the Honored Hero for the Vancouver Marathon in 2005 and how much that meant to them. She talks about how her faith and the prayers of friends and strangers kept them going. And she talks about giving back. Today, Daniel is cancer-free and Noreen and her daughter Katie are training and raising money for LLS! 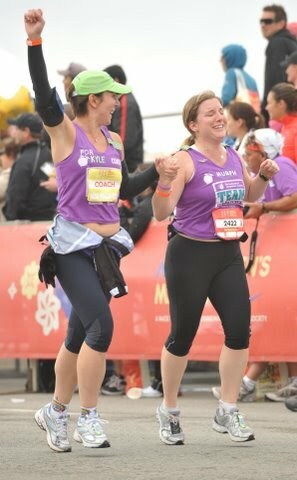 On Thanksgiving Day, Noreen and Katie will complete a half-marathon in Atlanta with the Team In Training family. Every mile they cover is their way of giving back and ensuring that the help that was so valuable to them will continue to be there for other families. Noreen knows what percentage of money goes to help blood cancer patients and fund research. She knows the work it takes to train for five months to participate in a half marathon. She understands the costs of researching the drugs that will help blood cancer patients. And she is extremely grateful for all of that. But when she crosses the finish line Thanksgiving morning, she will probably not be focused on that. Instead, she will be sending prayers of thanksgiving that Daniel has been cancer-free for two years! She’ll know that the money she and Katie raise will help one more family deal with the unthinkable. And she’ll know that every step they covered will bring us one step closer to a cure. 11Alive backpack reporter, Julie Wolfe covered Noreen's story. Click here. I had just left my job as a youth minister, and had filled my void of being involved in the Greater Good with tater tots. Yes, tater tots. And ketchup. Lots of ketchup. Maybe a fried buffalo chicken sandwich on the side. And a chocolate malt. You get the idea. I was sitting on my couch popping tater tots, and wondering about my contribution to society when the mail came. An odd tri-fold flier for an organization called Team In Training sat amidst the junk mail. I opened it. Intrigued, I went to an information meeting. At the time, I weighed 208 pounds. Aside from the tots, my biggest hobbies were smoking, throwing back some cocktails and playing cards. Lots of calories burned in the last one. And I had just signed up for an adventure (with some sort of race involved) to raise money to help find a cure for leukemia, lymphoma and other blood related cancers. I was told I’d learn how to run, kayak and mountain bike. I laughed, but signed up anyway. After the first group training, I went home and cried. I felt so sick. I could barely run a mile. Stick to the schedule. That’s what I kept hearing. Stick to the schedule. Every day, I did what was on the calendar. I was given so much support: a mentor who called me every week to check in on my training and fundraising, a top notch coach who diligently helped me learn about weight training, spin classes, endurance running, mountain biking. And a team that helped me with that pivotal piece: confidence. You can do this. We finished the adventure race. My team finished in second place (out of all the Team In Training teams)! I had traded tater tots for spinach salads, cigarettes for gum, but I still had the occasional chocolate malt. I was 165 pounds. I had taken step to take care of me – and Team In Training was the vehicle for that self-care. Of course, it didn’t stop there. Not surprisingly, I was addicted. I ran my first marathon in October of 2004. And another one in October of 2005. I ran through more weight loss. I ran through a divorce (I wanted to liken myself to Kristen Armstrong, but I wasn’t that fast…). I ran through joy and I ran through pain. But I was never alone. I have made the best friends of my life through Team In Training. The women I met in 2004 moved my stuff three times during my divorce (we still joke about the metallic green prom dress). If that doesn’t speak volumes about the depth of our friendship, I don’t know what does. Or maybe I do. How about this? My 2004 teammates are STILL my teammates today. We are all training for an adventure race and a triathlon together. We are still a constant source of love, support and encouragement…oh yeah, and built in training buddies. In 2004, I started with the vague notion of ‘doing something good.’ In the process, I met this woman I really like: me. Happy, healthy and usually around 145 pounds…I am the woman I am supposed to be. Thanks to the community known as Team In Training. But the best is yet to come. My greatest joy is that I am a running coach for the program and that I will be leading a group to this year’s Nike Women’s Marathon in San Francisco. Now, I run to share my passion with others – to do good and to help others find their true selves. I have the pleasure of coaching some of the most amazing men and women who are drawn to an awesome cause: to find a cure for blood related cancers. This is what real life is about. Come find yourself. Come run with Team In Training! Check out Coach Jo with Honored Hero Kate on 11Alive News! Click here.